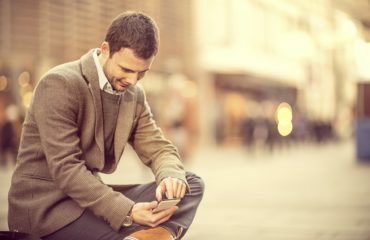 NChannel reports that 44% of people begin their online shopping experience with a search engine. According to Kissmetrics 30.5% of all traffic to ecommerce sites comes from search engines. Data by Custora shows that 26% of ecommerce online ordersoriginate from organic search engine traffic. As you can see, it’s almost impossible for ecommerce businesses to thrive today without search engine optimization. Unfortunately, ecommerce SEO is more challenging, complex and competitive than ever. Not only are you competing against giants like Amazon and Walmart, but you need to pay attention to new ranking factors like site speed, user experience and organic click through rate. Fortunately, this guide will show you exactly how to beat the odds and outrank your big brand competitors in Google. If you want to run an effective ecommerce SEO campaign, make sure to kick things off with keyword research. Because keyword research informs everything other SEO-related task you do on your website (for example, without keywords, it’s impossible for you to optimize your product and category pages). Believe it or not, but your list of keywords influence your technical SEO efforts as well. For example, your site architecture and URLs need to take keywords into account. PRO TIP: Amazon will sometimes suggest categories above the keyword suggestions. These make great keywords to use for category pages. For example, when I used the keyword “organic dog food”, Amazon suggest gave me 8 keyword ideas. The tool spit out 49. Look at the categories your competitors already use. These are all keywords to consider using for your dog food ecommerce category pages. PRO TIP: If your category is unique in some way, make sure to include that unique feature in your category page keyword. For example, you could turn the Amazon category keyword of “dry dog food” into “healthy dry dog food” or “organic dry dog food”. These keywords are less competitive and more targeted to what your target customer searches for in Google. So if your ecommerce site sells high-end headphones, you’d want to head toHeadphone.com. Once you’ve exhausted Wikipedia’s keyword suggestions, it’s time to move onto one of my favorite keyword research tools:SEMRush. PRO TIP: Before clicking on the “Keyword Ideas” tab, glance at the keywords listed under “Ad group ideas”. This tab can contain unique keywords that may not appear in the “keyword ideas” tab. PRO TIP: Some keywords have HUGE seasonal variations. Of course, you’re going to get more searches for “ugly Christmas sweaters” in December than in June. But there are other non-seasonal that have peaks and valleys throughout the year. For example, the keyword “organic dog food brands” gets 2.5x more searches in October than November. For example let’s say your ecommerce site sells Japanese green tea bags. And you come across a keyword like “matcha green tea powder”. So if you optimize one of your ecommerce category pages around the keyword “bamboo cutting board with handle”, you’ll have a good shot of leapfrogging the competition. PRO TIP: Exact keyword targeting isn’t as important as it once was (thanks to Google Hummingbird). However, if you optimize your page around a specific keyword, it still gives you an edge over pages that aren’t as well optimized. Site architecture — or how the pages on your site are organized  and arranged — is an important SEO consideration for ANY site. But it’s doubly important for ecommerce sites. That’s becauseyour average ecommerce site tends to have significantly more pages than your average blog or local pizza shop website. PRO TIP: If your site already has a less-than-ideal setup, don’t start moving pages and around until you’ve consulted with an SEO pro. They can help you make sure that old pages redirect to new pages. 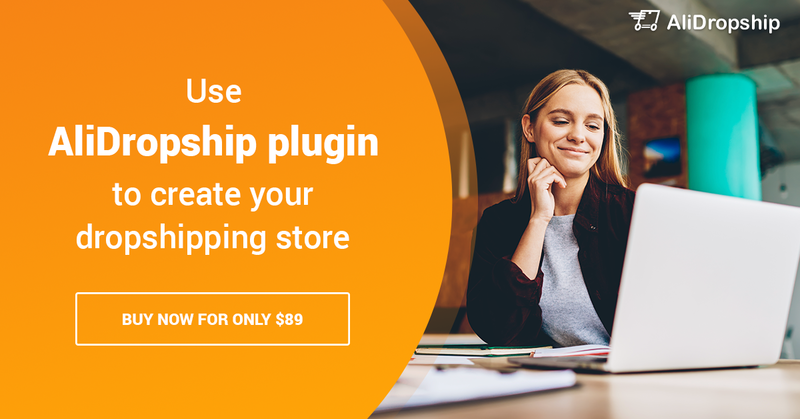 When done right, you can implement huge changes to your ecommerce site’s architecture without losing significant amounts of your search engine traffic. Now that you have your site architecture all set up, it’s time to optimize your category and product pages. For most ecommerce sites these two types of pages generatethe lion’s share of traffic and sales. This makes sense if you think about it: someone searching  for “red Nike running shoes size 10” is much closer to making a purchase than someone searching for “buy shoes online”. Without further ado, let’s see an example of a “perfectly optimizedecommerce page”. Once you’ve written your in-depth description, it’s time to make surethat you’ve included your target keyword 3-5 times. This has nothing to do with keyword density or keyword stuffing.  It’s simply making sure your keyword is mentioned on your page so Google can understand what your page is all about. PRO TIP: Google puts slightly more weight on keywords that appear at the top of a webpage. So make sure that one of your keyword placements is at the top of your page (for example, in the first 100 words of your product or category description). Latent Semantic Indexing (LSI)keywords are words and phrases that  are closely tied to your main keyword. PRO TIP: If you have a competitor that outranks you for your keyword, use this same process on their site. PRO TIP: Some ecommerce sites remove categories and subcategories from their URL. For example, instead of , your URL would simply be: . 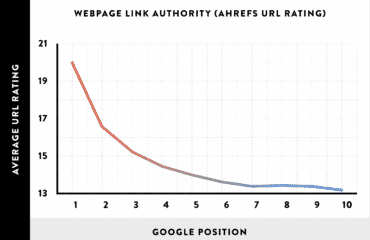 This makes your URLs shorter and more keyword dense. I don’t necessarily recommend this, but if that’s how you have things set up, it certainly won’t hurt your product page rankings. For example, let’s say you have a blog post that’s generated a lot of backlinks. And you also have a product page that ranks #5 in Google for a high-converting term (like “moleskin notebooks”). How do you get these awesome snippets? By implementingSchema markup on your ecommerce product pages. Schema markup is simply a special code that you add to certain pages on your site. This code gives search engines (like Google and Bing) a deeper understanding of your page’s content. PRO TIP: Use Google Search Console to double-check that your Schema is implemented directly. Then you’ll see the Schema markup Google has found on your site…and if you have any errors. Technical SEO is one of those things that’s important for ALL sites… but doubly so for ecommerce sites. That’s because ecommerce sites tend to have lots and lots of pages to manage. 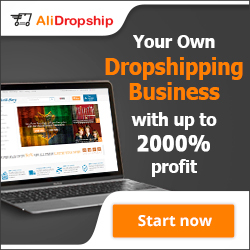 Even a “small” ecommerce site can have 5,000+ pages. And all of those pages increase the odds of technical SEO issues. Not only that, but most ecommerce product pages don’t have  a lot of backlinks pointing to them. That means that technical SEO is often the “tiebreaker” on Google’s first page. 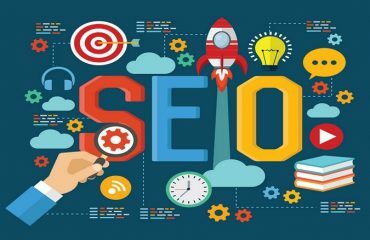 For example, if you and your competitor are neck-and-neck, a technical SEO issue can be the difference between the 5th spot and a coveted #1 ranking. That’s why regular technical SEO site audits are considered an ecommerce SEO best practice. Duplicate content is one of the most common ecommerce SEO issues on the planet. And it’s one that can sink your site in Google’s search results (thanks toGoogle Panda). PRO TIP: Implementing canonical tags can be tricky. That’s why I recommend that you hire an SEO pro with technical SEO expertise to help. But if you prefer to set up canonicals yourself, this guide by Google will help. PRO TIP: Everyone has a different definition of “thin content”. In my mind, thin content refers to short snippets of content that doesn’t bring any unique value to the table. PRO TIP: The more truly unique your content is, the better. That means actually using the products you sell. Write your impressions. Take your own product images. This will make your product descriptions stand out to users and search engines. Bloated Ecommerce Platforms: Certain ecommerce platforms are inherently  slow due to bloated code. And unlike a blogging CMS likeWordPress, you can’t just install a plugin and watch your speed improve. Large Image File Sizes: High-res product images are awesome for your  customers, but can make your page load like molasses. Slow Hosting and Servers: When it comes to web hosting, you get what you  pay for. A slow hosting plan can put the brakes on your site’s max speed. Upgrade Your Hosting: I can’t recommend specific hosting providers because your decision depends on your preferences and needs (for example, the level of support, pricing, security, etc.). But what I can say is that you should spend at least $50/month on your host. If you spend less, your loading speed is likely to suffer. Invest In a CDN: A CDN is one of the fastest (and cheapest) ways to significantly  crank up your site’s loading speed. Bonus: a CDN also makes your site more  secure from attacks and hacks. Optimize Image File Size with Compression: This is a biggie for ecommerce  product pages. Make sure to export images so they’re optimized for the web. And when you’ve finished step #3, start back at the top and go through the process again. When you consistency publish content using this formula, you can find yourself with a significant amount of traffic, leads, backlinks and customers. When you publish amazing content on your ecommerce  site’s blog you have the world’s link building strategies at your disposal. Yes, building links to your content can give your product and category pages a boost in Google’s search results. But those links aren’t nearly as powerful as links that point directly to your product and category pages. That’s the same question that Backlinko reader Chris Laursen wondered. 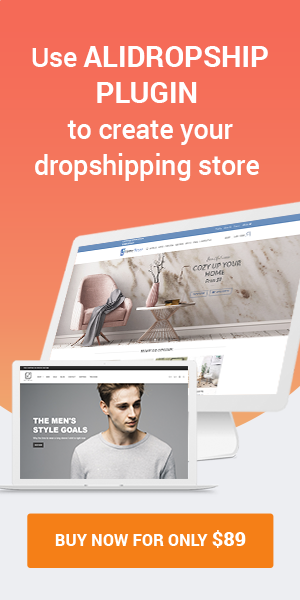 He had a ecommerce client that was struggling with link building. Then Chris decided to try The Moving Man Method. That’s where step #1 comes in…Step #1 is finding resources that are out-of-date, expired or not working. STEP #2: Grab a List of Pages Pointing to the Outdated Resource Once you’ve identified a popular-but-outdated resource, it’s time to find sites that link to it. If you find a page with a lot of referring domains, head over toArchive.org and see what used to be on that page. 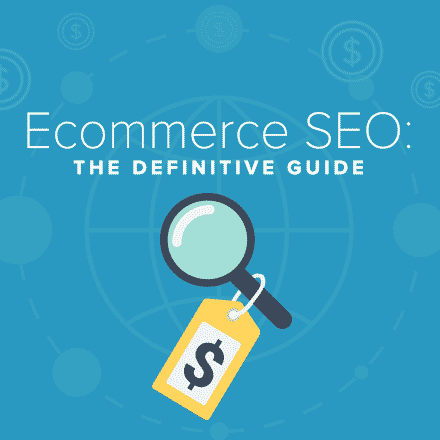 I hope you got a ton of value from Ecommerce SEO: The Definitive guide. Now it’s up to you to implement the strategies from this guide. How are you going to use the tips from this guide? Or maybe you have a question about something I wrote. Either way let me know by leaving a quick comment right now.